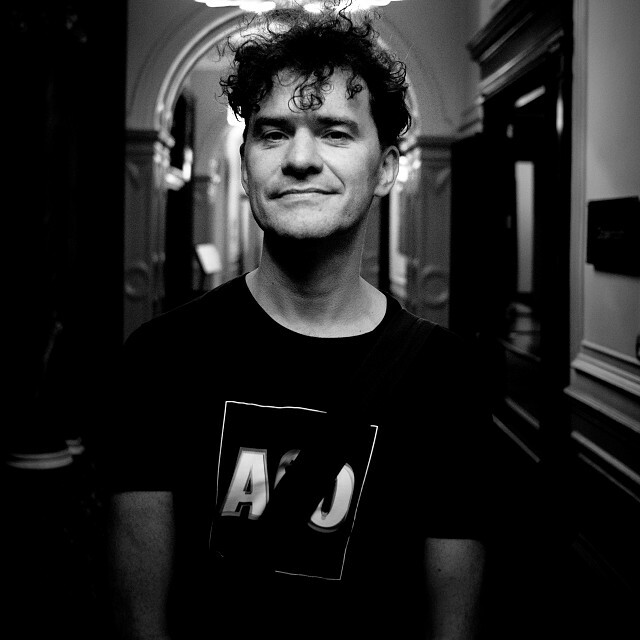 Mark Cousins, director/writer/photographer of The Story of Film: An Odyssey. Two weekends ago, the Walker Cinema was host to a marathon screening of Mark Cousins’ expansive 15-hour documentary The Story of Film: An Odyssey. Adapted from Cousins’ own 2004 tome of the same name, The Story of Film seeks to do no less than offer “a refresher course in movie language,” spanning more than 120 years of cinema from six continents (and throwing in more than a thousand film clips to boot). An erudite critic from Northern Ireland (and, it becomes apparent immediately in The Story of Film, an impassioned cinephile), Cousins embarked upon this cinematic odyssey to shed light upon the undervalued corners of the cinematic globe, hoping to detail the entire evolution of an (albeit young) art form and the wonderland of visions it has offered us. But with a project as dense and all-encompassing as this one, there are bound to be a few leftover questions — which is exactly why Cousins offered to respond to queries posed by the Walker’s audience following our quintet of screenings two weeks ago. Cousins’ responses can be found below. Meanwhile, The Story of Film: An Odyssey will continue to screen for free in the Walker’s Lecture Room until December 30, with each successive installment screening for one week during gallery hours. The Story of Film: An Odyssey. Image © Hopscotch Films & More4. Thanks so much for going to see The Story of Film: An Odyssey. I was delighted that the Walker showed it. Thanks, too, to those of you who sent questions. My answers are below. 1. Although you try to be as all-encompassing as possible, do you think there are still drawbacks in forming a canon that must necessarily exclude and delimit? At the same time, what do you think is the value in creating canons—what kind of experience or knowledge do you want audiences to come away from The Story of Film with? When I was a boy I read a music magazine called NME. One Christmas it polled its writers and critics, asking them which is, in their opinion, the best song ever released. “Walk on By “sung by Dionne Warwick came out top. As soon as possible, I went out and bought it (this was in the late 1970s). I tell you this story to show one way in which I think lists, and the canon, work. They force into public life, by deploying superlatives of whatever, work that perhaps is undervalued. If our general sense of film history was broadly correct, if it only needed tweaking, then I would not be in the canon-making business. But our general sense of the past of cinema has SO many holes in it (a hole the size of the continent of Africa, of the achievements of women directors, etc. ), that it needs radical re-organisation. It needs dynamiting. Lists and canons are good at that. The fear of excluding and delimiting sometimes prevents people from saying anything big. That fear often leads to a literature of footnoting or a cluttering of discourse. I passionately believe that we still have to establish (especially for young people and new movie lovers) a main melody, to use a phrase from China. Once it is established, then we can argue against it, write our own harmonies, etc. The Story of Film is an attempt at a new main melody. I know that sounds cocky or egotistical. But someone had to shake up the lazy (and I’d say racist) perceptions. 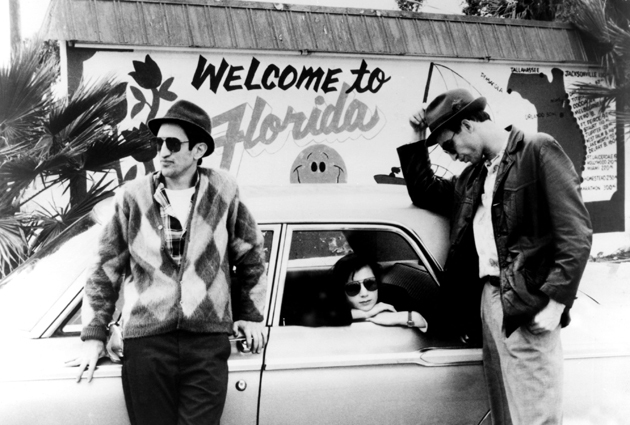 Jim Jarmusch’s Stranger than Paradise. Image © The Criterion Collection & MGM. 2. I was surprised there was no mention of the brilliant auteur Jim Jarmusch and his cinema – was there a reason for this? Yes, space! In China, people rightly point out that I have not included (probably my favourite Chinese filmmaker) Fei Mu. In Finland people notice that their greatest director is not in there. In terms of American cinema there’s no Capra, Sturges, Anthony Mann, [Maya] Deren, etc. The list is long indeed. I love [Jim Jarmusch’s] films (and the fact that he is the cinematic equivalent of Frank O’Hara’s poetry). But I had such limited space (we had to cut out four hours to get it down to 15 1/2 hours). Sorry about JJ. And Rohmer, and Lina Wertmüller and so many more. Not one person in the Western world has asked me why some of the great African directors that I have not included are not in there! Thanks for your question. You are quite right. 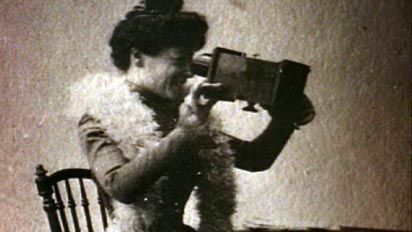 The early French director/writer Alice Guy-Blaché, as seen in The Story of Film: An Odyssey. Image © Hopscotch Films & More4. 3. Were you aware of your own personal enthusiasm for genres or directors during the process of filmmaking? And do you think, for a project like this, subjective editorial decisions are beneficial or detrimental? The story of film is, I think, objective at the structural level and subjective at the individual level. What I mean by this is that most conventional film history isn’t even interested in whether there is an Ethiopian cinema, or Chinese silent cinema, or Iranian cinema of the 60s. I think I wasn’t blind (or blinkered) to that kind of thing. But if you move from the overview, the global view, to details, then I completely agree that my personal enthusiasms shine through. So, for example, once you decide that gender and sexuality is a theme in new Australian cinema (which I’d find it hard to disprove) then you can argue with me whether I was right to include, say, Jane Campion and Baz Luhrmann. I certainly think that they are both innovators (An Angel at my Table and Romeo + Juliet) but I totally accept that there are other filmmakers or directors that might have been included instead or as well. Thanks for your question. 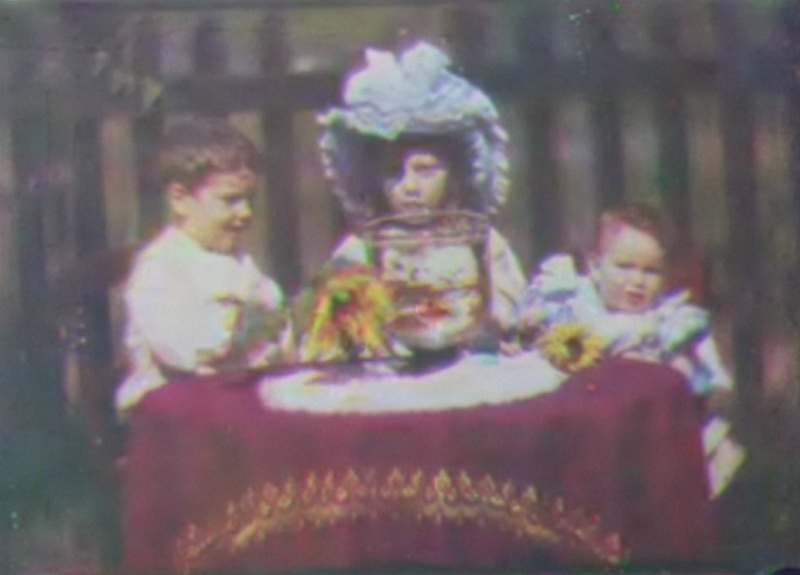 Still from the world’s earliest color film, shot in 1902 by Edward Raymond Turner, and discovered only a few weeks ago. 4. Did you see the discovery of the color film from 1902? 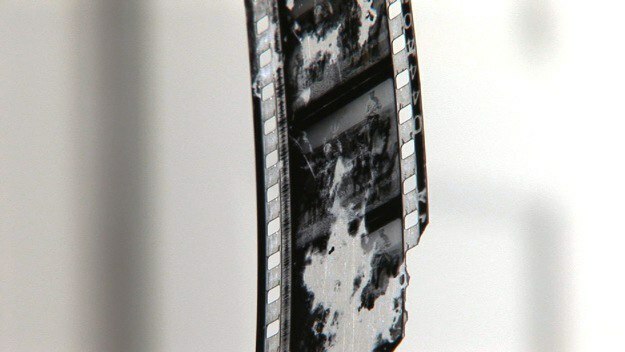 Did you have any discoveries like this while shooting The Story of Film? Or something that you felt like you were uncovering for the first time? Yes, I saw that – those sunflowers and parrots! I got lots of media calls after those discoveries, most of which were asking about technology. But when I saw those flickering colour images I felt that I wasn’t learning something new about technology, I was seeing again the early thrill of movies discovering the joys of seeing (scopophilia). Those early inventors were sort of into money but far, far more, they were fueled by curiosity, discovery, and a sense of technology sailing close to the contours of human experience. The vitality that Van Gogh felt painting sunflowers is comparable to the excitement that those pioneers felt by filming sunflowers. Some people doubt this and think I am being too idealistic, but if you have ever been to Thomas Edison’s studio in New Jersey you’ll have seen his care, wonder, and the numinous feeling there. 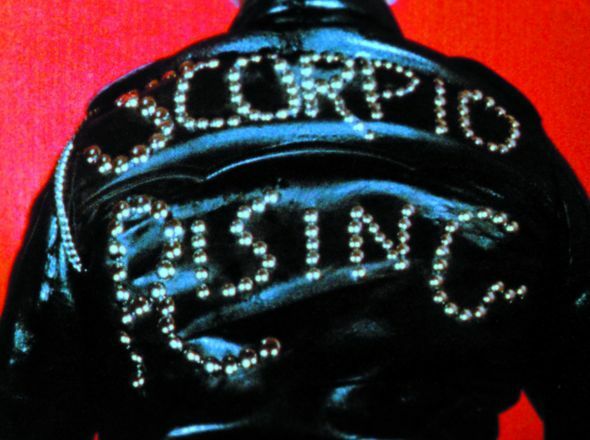 Kenneth Anger’s Scorpio Rising. Image © Canyon Cinema & Fantoma. 5. There is a lack of avant-garde cinema in The Story of Film, as most of the material covered concerns narrative filmmaking. Was this exclusion intentional, and if so what was your reasoning? Yes, I do not deal enough with avant-garde cinema. There’s Matthew Barney, Entr’acte, Cocteau, Douglas Gordon, Farough Farokzhad, Calvalcanti, Eisenstein, ’20s Japanese avant-garde, Kenneth Anger, L’Age d’Or, Walter Ruttmman, Bruce Conner, Apichatpong Weerasethakul, Souleymane Cisse’s Yeelen, etc., but there should be more. I don’t think TSOF focuses on narrative. In fact I’ve got Bill Forsyth saying that narrative in some way kills cinema, and I make the same point in regard to the movies of Ozu, Rossellini and Bresson. So my focus isn’t narrative but, yes, there should be more experimental cinema.